Abortion with pills, also called medication abortion, is a safe and effective way to end a pregnancy by inducing miscarriage. When pregnant people visit the doctor for an abortion using pills, they are most often prescribed two different drugs, to be taken 1-2 days apart. Mifepristone (brand name Mifeprex®) is taken first. Misoprostol (brand name Cytotec) is taken second, between 24-48 hours after mifepristone is taken. Mifepristone used in combination with misoprostol is up to 99% effective, and serious complications are rare. To learn more about medication abortion—including alternate names, what to expect, and more—visit our health information fact sheet. To read our position on self-managed abortion with pills, click here. The National Women’s Health Network (NWHN) was a key player in the fight for Food and Drug Administration (FDA) approval of mifepristone. Although the drug’s safety and efficacy had been proven through extensive research, anti-abortion forces fought FDA approval with every means available to them. They attempted to pass legislation to financially block the FDA from approving the drug, resisted the appointment of FDA commissioners who supported medication abortion, and tried to undermine the credibility of the research proving medication abortion was both safe and effective. Although opponents claimed to be interested in women’s safety, their claims were scientifically false and rooted in abortion politics, not medicine. The NWHN has a proud history of opposing unsafe drugs and devices even when we agree with their purpose—in fact, it was our founding fight! 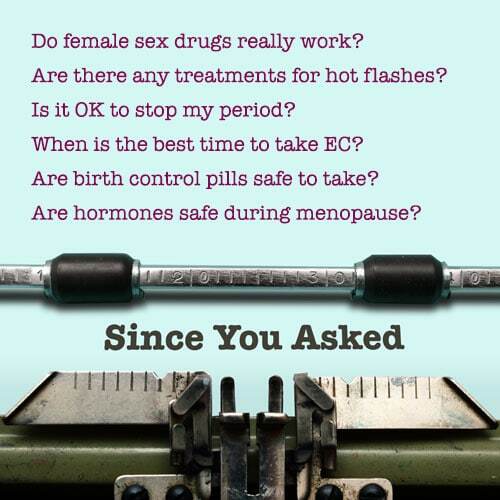 So when we testified before the FDA in support of mifepristone’s approval, we not only brought women’s voices to the discussion on behalf of greater autonomy and better choices, we also brought decades of credibility fighting for consumer safety. Due to the hard work of the NWHN and many other organizations, the FDA finally approved mifepristone in 2000. But abortion opponents weren’t finished. The FDA placed mifepristone in the most restrictive drug category, a controversial decision the anti-choice movement would soon abuse. The FDA recommended a very large dosage and placed limitations on who could prescribe the medication, which was out of line with recommendations for drugs with similar safety and efficacy profiles. Using the medical studies that led to the drug’s approval, doctors and researchers quickly developed a more modern, evidence-based regimen than the original FDA-approved label. It lowered the dosage and allowed pregnant people to complete the process at home. It was proven to be just as effective with lessened side effects and fewer barriers to patients seeking care. Under normal circumstances, FDA guidelines are treated by clinicians as a recommendation. The medical community uses scientific evidence to adapt these recommendations, often finding off-label uses and or updated regimens for drugs. Even as early as 2001, 84% of physicians providing medication abortions followed the revised regimen for mifepristone instead of the guidelines on the FDA label. Ignoring this medical expertise, however, anti-choice politicians used the overly-cautious FDA label to restrict abortion services. They passed laws claiming to “protect” women from the potential harm of a “dangerous drug,” but it was just another way to decrease access to the safe and effective medication abortion pills. Not only were these laws medically unnecessary, they actually put women’s health at risk. Some examples of these current laws are highlighted below. Thirty-four states only allow licensed physicians to give mifepristone to patients. The World Health Organization recommends that mid-level healthcare professionals like physician assistants and nurse practitioners be trained to administer medication abortions. These laws restrict the capacity of facilities offering abortion services and mean pregnant people often wait longer for an appointment. Despite medication abortion being simple and safe enough to be taken at home, seventeen states require a physician to be physically present when the patient swallows the mifepristone tablet, preventing the use of telemedicine. These laws are more than just a hassle; they make a safe, simple treatment inaccessible for many people, and particularly harm pregnant people living in rural areas, who must travel long distances and pay for hotels. Anti-choice laws on the books in several states require physicians to follow the FDA label for mifepristone exactly. Prior to the 2016 FDA updated label, this meant pregnant people in these states took three times the amount of mifepristone administered in other states for political, not medical, reasons. These laws worsened side effects and increased cost, hurting access to medication abortion. Following a long campaign joined by the NWHN and our allies to update the label to reflect medical science, the FDA announced in March 2016 that it had approved an updated label for mifepristone. The new label allows for a lower dose of mifepristone (200 mg from 600 mg), expands the window in which pregnant people can take the medicine (from 49 to 70 days since last menstrual period), and eliminated the recommendation that misoprostol be taken in a provider’s office, allowing patients to complete the second part of the regimen at a location that is comfortable for them. While we were pleased to see the FDA label catch up with modern practice, medication abortion is still out of reach for many due to medically unnecessary regulations. The NWHN supports eliminating current restrictions that require a special registration of providers who wish to offer it in their offices and that prohibit mifepristone from being dispensed in pharmacies. Currently, the FDA-mandated Risk Evaluation and Mitigation Strategy (REMS) requires that providers have a physician supervisor submit a Prescriber Agreement form prior to being able to prescribe mifepristone. Provider certification is not required for health care professionals to dispense other drugs, and we reject the false claim that this “helps women’s health.” Also, the Prescriber’s Agreement forces providers to identify themselves as abortion providers to the drug manufacturer, which could discourage some from offering medication abortion care to their patients. In addition, the NWHN is monitoring state efforts to restrict access to medical abortion. These efforts include requiring clinicians to be physically present during a procedure and/or criminalizing individuals who access medication abortion on their own. We are working with our allies to improve awareness of this safe procedure and to ensure access is not unduly hindered by ideological belief.